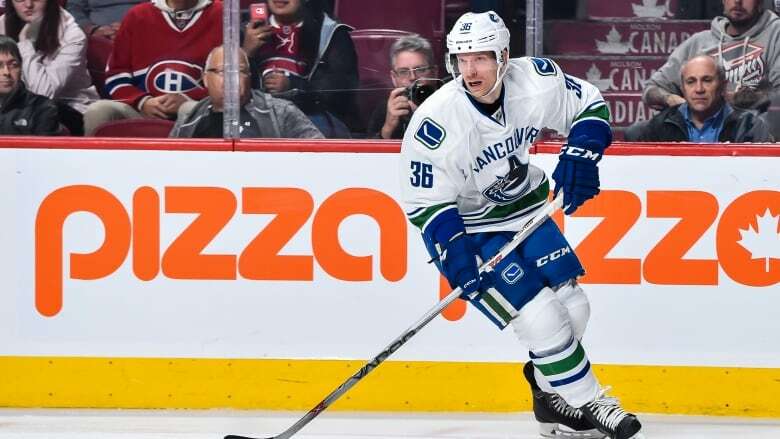 The Vancouver Canucks traded forward Jannik Hansen to the San Jose Shark early Wednesday morning in exchange for forward Nikolay Goldobin and a fourth-round pick in 2017. The Vancouver Canucks made another move on Tuesday to acquire young talent, getting forward Nikolay Goldobin from the San Jose Sharks in exchange for veteran forward Jannik Hansen. The deal also includes a conditional 2017 fourth-round pick heading to Vancouver. Hansen registered six goals and seven assists in 28 games for the Canucks this season. The 21-year-old Goldobin has played 46 games in 2016-17 for the American Hockey League's San Jose Barracuda. He had 15 goals and 41 points. The Moscow native has also dressed twice this season for the Sharks and produced a goal and an assist. Goldobin was originally selected by San Jose 27th overall in the 2014 NHL draft. Vancouver shipped veteran Alex Burrows on Monday to the Ottawa Senators for prospect Jonathan Dahlen.